Our customers have asked for it, and here it is. The Yoder Smokers YS1500 Pellet Grill has redefined versatile. The integrated heat management system (HMS) that was perfected in our wood pits is now available to pellet cooks! 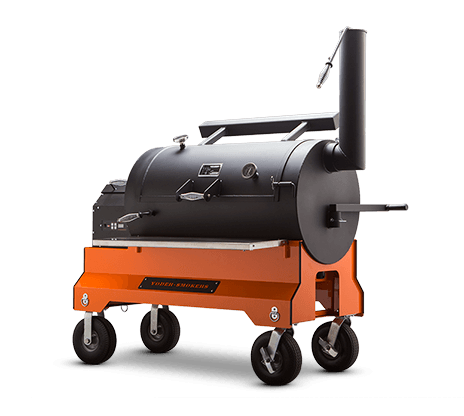 The HMS gives the pit-master outstanding temperature control from side to side, making it easy to grill off a bunch of steaks, fill it full of butts and briskets or cook an entire competition on it. Mounted on our competition cart with 10" pneumatic tires you have exceptional style and unmatched mobility from your trailer to cooking position. That's Yoder listening to your requests, and delivering.